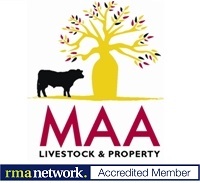 Welcome to the first edition of our property and livestock newsletter. We have asked friends and colleagues from Roma to Keith and Moree to Bairnsdale to share what is happening in their part of Australia. We hope you enjoy the read and the diversity of topics. As you are our valued readers, we would love your feedback. "Lamb is the world’s best kept secret." Record lamb prices, record mutton prices, it’s a dream time to be producer. This has been caused because of a lack of numbers in the system. Drought has had a significant role to play in creating this environment, but there are other factors as well. The end result of record prices for the future is it kills demand, where consumers have a look at the price and then choose beef, pork or chicken, the latter two are extremely cheap compared to lamb. The upside now for lamb is that people no longer view it as the working man’s meat, it has evolved over the past decade as a premium product and I see a bright future for Australian lamb. Maybe not at the current price levels, but a middle ground pricing that people can still afford to eat, and producers get a great return on investment. The price increases we have seen go to record levels have been caused by exporters, they have locked in contracts and production numbers. The rest of the industry then has to go with it to keep their supply numbers up to current demand. I know we are running 20% to 25% back on our lamb numbers due to price. That in turn causes a domino effect, lower numbers through the plant, less weight on trucks and lower numbers through the retail sector. This impacts on overheads because they remain the same, but you have less volume, which creates a dearer product again. Unlike beef, Australian lamb sits in a very enviable position because it’s not competing with countries that have significant lamb numbers. Beef on the other hand, has to compete will the whole world and given that Australia is now the dearest country in the world to run a processing plant, puts us at a disadvantage. Becoming the world’s most expensive processor is a feat I blame on our lame duck politicians and poor policy. We should have the cheapest energy in the world but have nearly the highest. This is a country that is the world’s biggest energy exporter. You can have dear wages or dear energy, but you can’t have both and Australia has both. So, here’s to the world’s best kept secret, Australian lamb, and we’ll celebrate that we are very good at producing this amazing product. I have been in the Trangie & Dubbo area for the better part of 28 years now. In my time in the central west we have seen some very good seasons and our fair share of bad ones also. Now is probably one of the hardest times that we have seen. We have all heard the doom & gloom stories that have been in the media in recent weeks, but I would like to share some of the positive things that are happening. 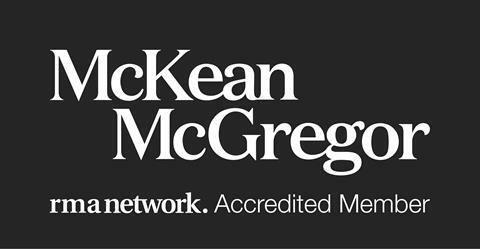 Last week I spoke to a client who is located south of Trangie. This is your typical husband and wife team. They are very good merino sheep breeders and have been for more than 35 years. They have just marked in excess of 120% of lambs. This is an outstanding result in very dry times considering other people have reported 40 – 50% markings. Another client who has approximately 2,500 merino ewes uses a feedlot setup in which they are locked up in three different mobs. His older ewes are let into the feed yard for about 1 hour and then returned to the yards. His middle-aged ewes are given about the same time in the feed yard however the young ewes are let in over night to give them a boost along. The most important thing having the ewes locked up is the benefit in not burning energy while walking around a paddock all day and when it does rain he will allow his country to come along without any competition. There is also another farmer in the area who has weaned all of his lambs at 40 days of age and put them into a farm feedlot to give his ewes a chance to maintain weight. Some other interesting facts I have been given this week include, in 1998 interest rates were 7.5% and now sit at 4.1%, wool prices were $400/bale where as todays price is $2,300/bale. Lamb and mutton prices have also changed over the years with lambs selling for $28/hd in 1998 to $185/hd today, sheep sold for $20.00/hd and now $100/hd. Beef prices sat at $1.20/kg but now stand at $2.90/kg. another change that has occurred over time is the livestock inputs, in 1998 it was $18.00/DSE and now to date is $24.00/DSE. On the property scene, a dry land block of 2,560 acres with no improvements recently sold in Trangie district for $1,200/acre to a local farming family. At Collie a dry land farming and grazing block sold at auction for $1,153/acre. All of the above is very positive going forward and when it does rain properly sheep and cattle prices will continue to remain very buoyant. The Gundagai & Tumut regions are presently experiencing a green drought and we need a good rain event to get subsoil moisture which is badly needed prior to spring. The farmers are still heavily into feeding and need the moisture to start locking up paddocks for silage to replenish their dwindled supplies. However we are still in a lot better position than many others west of our region. We conducted an annual store cattle sale at Tumut on the 15th August yarding 900 head. Considering the widespread dry the market was above our expectation with feeder steers making up to $3.40 a kg, feeder heifers $2.85kg ,young black baldy cows with young calves topped the cow and calf market at $1,430.00. The Gundagai Abattoir (Gundagai Meat Processors) - owned by a local family who are contracted to Coles - continues to upsize. Over the last year they have spent approximately $30 million on many areas of the operation and are now also an accredited export abattoir. They are a great contributor to the Gundagai economy and with over 200 employees it is an excellent operation. Demand for rural real estate is like everywhere, very strong, but properties for sale are very scarce and for anyone contemplating selling now is certainly the time to "reap the rewards". It is also great to see the wool market booming as those who have stuck to mainly wool production in their enterprise truly deserve it given the previous tough times they have had to endure. The renewed interest in secession planning from long established farmers wanting to increase their holdings has been noticeable. Once the drought breaks and good seasons return the long term outlook of agriculture pursuits look very promising. It is dry in our Inverell district, 100 years dry, but with a very strong rain forecast combined with the best beef cattle market indicators we have probably ever seen, we are feeling just a little bit hopeful of our future prospects. Inverell is a very pretty district in Northern NSW, renowned for its excellent soils, mild climate and safe 28-32 inch rainfall. We are a strong mixed farming area with merino sheep, fat lambs, cash cropping and especially beef cattle. Our district is in the midst of a drought, the worst drought since 1903. The rain forecast is average, but luckily not as average as the accuracy of the BOM (Bureau of Meteorology) for the last 6-12 months. The BOM rain forecast was very strong in December 2017, but it didn’t rain. Now the long range BOM forecast is at best average, and we look like we are about to have some really good rain, so it looks like our guess is at least as good as the BOM. The big issue, apart from rain is the outstanding long term prospects of the Australian Beef Cattle Market. Two of our major beef export markets are Japan and Korea. The Japanese population is aging and declining and Korea is at best static, but both are highly affluent and our annual beef exports to them are up by 8%. The US are the world's biggest consumers of beef, as well as one of the world’s biggest consumers and exporters. America influences the beef markets of the world, and the good news is that it is booming. Although tight supplies have backed our beef exports to the US by a touch (3%), the prospects are excellent with Australia controlling 24% of its requirements. The Ace in the beef pack is China. The Chinese eat about 8 kg of beef / head / year. The average disposable income in China will double in the next 5 years, and more good news, there are 1.4 billion Chinese and they love our beef. Exports are up by 74%. The interesting thing about the above information is the type of beef our markets require… Grass Fed, not Grain Fed and the demand is growing. Our beef is clean and green. Very few countries can match us for our product which is seen as natural and safe. 97% of our exports to the US are grass fed whilst Japan and Korea take 52 and 64% respectively grass fed beef. China, with a 74% growth in Australian beef imports and 1.4 billion people, demands 76% grass fed beef. This is why we are so excited about our prospects. The EYCI (Eastern Young Cattle Indicator) is currently around 450c/kg. We are 100 cents below 12 months ago and about 250 cents below 2 years ago. In that time, the world beef market has boomed, particularly with Grass Fed beef. We have been in drought, and our cattle population has crashed. If females consist of more than 47% of our annual beef slaughter, our herd declines. The Australian beef Kill currently consists of 54% females, very close to an all time record. The bottom line of all this information… because of the drought, we have very low supply of grass fed beef and our cattle numbers are declining. There is extreme demand for our grass fed beef and the demand and price are rising. Whether it rains or not, expect the EYCI to rise to its previous highs (+700 cents per kilogram). With rain it will happen quickly, without rain it will happen slowly, but it will happen. "Is it too soon to start getting excited about the beef sector past this current drought?" I don’t think so and neither did the buyers at a prominent Northern NSW Angus stud's annual sale on Friday, with a full clearance of 217 bulls for a tick over $9,000 average. The display of vigour in the bidding told me I was not alone in my quiet confidence of what opportunities lie ahead given a return to normal seasonal conditions (what normal looks like I am not sure as we only have records going back slightly more than 200 years, which I believe is not enough to get a picture of normal) however those bull buyers are right in their optimism. As I write this, the AUD is 0.73 to the US, a number which does not look to be strengthening anytime soon, the national beef herd is at record lows, and females are making up 54% of national kills so we are still in herd decline. Given the favourable currency and the supply demand curve tipped in the producers favour you can't help but get excited by the ‘just add water’ element that will arrive at some point. So I think it is time to make plans as to how you would like to be positioned when we see very strong commodity prices and with them a return to strong trading in agricultural land. Welcome to a glimpse of the local property market for first six months of 2018. The local residential market continues to show good demand and sales results, with a huge variety of properties – from 5 acre semi-rural blocks with lovely established houses to the large South Coast farm properties of 100+ Ha, and the ever-present coastal homesteads enjoying wonderful views of the ocean, waterways and surrounding mountain ranges. The Narooma property market does provide a selection of properties to suit a wide range of buyers from residential to rural. The fishing remains very active, with plenty getting caught in the Wagonga Inlet and estuary lakes around the area, meanwhile, those heading out to sea have experienced some great days and some nice catches of lobsters. The 57th best ranked golf course in Australia, Narooma Golf Club, remains in fine order even with the lack of rain over the winter months, and the greens have just been cored to make it ready for the influx of visitors. We have had a lot more interest in the area from Sydneysiders and people trying to get away from the hustle and bustle. This is being helped by infrastructure projects allowing quicker and better access to the South Coast. Road works are having a significant impact including the 12.5km of Berry bypass (saving some 20-30 minutes), as well as the new double bridge at Batemans Bay and Dignams Creek bypass. Upgrades to the Moruya and Merimbula airports resulting in cheaper flights to major cities, combined with the massive improvements in NBN and mobile coverage, have people working from home and commuting when required. What once was a weekend coastal getaway is now a more permanent lifestyle. Overall our office remains very positive with the long-term outlook; and as the holiday season is creeping closer, we are all very excited to welcome everyone down to see our beautiful home, Narooma. Transferred to Orange in 1983, I wondered what I had done to deserve being sent to a town where you could get sunburnt on Tuesday and get snowed in on Thursday which is precisely what happened to me. 35 years later I am still here. With four clearly defined and very special seasons; Spring in the Central Tablelands has to be experienced first-hand, Summer which pretty much runs from around Christmas to the end of February, whilst not long enough is absolutely beautiful with minimal humidity, still cool enough to sleep at night and plenty of places to go fishing, sailing, skiing etc, Autumn is spectacular if you appreciate the colours of our deciduous trees and Winter; yes Winter is best described with two words, Rum & Rugby! Does it get any better than that! As I say to people when we are inspecting properties I am probably the wrong person to talk to about Orange; I am just a little bit one-eyed about the town. With the development that I have seen in the last 35 years and with the development that is in the pipeline to happen over the next 10-15 years I reckon we are in for a pretty good run. With the new(ish) Greater Western Area health precinct, a new multi-storey private hospital and specialist centre, refurbishment of the Ramsey (Dudley) private hospital along with a new premises being built to house the New South Wales Department of Labour & Industry which includes the Department of Agriculture which will employ over 700 staff in addition to the Newcrest Cadia, Ridgeway & Cadia East Gold & Copper mines the city is in a pretty good position. I have not even started telling you how good a climate we have for grapes, pome & stone fruit, fat cattle & prime lambs. 35 years ago Orange was decidedly orchard country on the slopes of Mount Canobolas with wool & fat lambs further out and winter cropping further out still. While these enterprises haven’t fundamentally changed, the introduction of grape and wine production has seen Orange become a tourist destination. Being 3 ½ - 4 hours from Sydney we’re are just far enough away to be “in the country”. Anyway if you are ever thinking of coming to Orange give me a call, I would love to show you around my home town. Wagga district along with most areas has experienced a boom in rural property values over the past 3 years, but in particular the last 12 months. Cereal country to the north of Wagga was realising $1,400 to $1,800 per acre in early 2017, by years end values had skyrocketed to over $3,000 per acre for quality holdings. Even properties with inherent problems were realising $2,500 plus. This market has been fuelled for the most part by locals. Properties of all categories remain in short supply, values have risen changing debt/equity ratios, these factors coupled with low interest rates and reasonably strong commodity prices have driven the spiralling prices. However it is possible that values may have levelled out. It will be interesting to see what effect Labour's change to Capital Gains Tax discounts has, if any to vendors attitudes. It will certainly reduce profits on Land Sales and Equities that have been purchased since 1986, with the exception of those able to utilise benefits by the use of Superannuation. For those inclined to sell by virtue of their age or for whatever reasons, it is a great time to cash in on this meteoric rise. It may be as good as it gets for a few years; who knows! Rural producers rarely get time front and square with the Australian media. This current drought seems to have changed that situation. However if producers don’t use this time in the spotlight to raise important issues through this same media and their own relevant rural organisations that chance will soon fade. No doubt there are different issues for each state, region and district. The main issue that cuts across all of us is the environment. Rural Australia is constantly blamed for doing the wrong thing environmentally. I don’t see it, or believe it. I cannot speak for the southern states as I have not lived there for more than 25 years, however in Queensland a constant stream of Labor governments have blamed farmers for nearly everything wrong environmentally in this state while cosying up to the Green’s to keep power. The tree clearing laws here are one example amongst many. Nobody in the government has been able to work out that trees in Queensland grow back. Unless of course these areas of vegetation are cleared felled for what all levels of government call PROGRESS. A producer battling drought in western Queensland has to jump through a range of hoops to access mulga on his own land. The government seems to think that mulga is endangered to some degree. Producers who have lived and managed this harsh country for generations know that if mulga is left unchecked the country is soon useless. No matter to these same experts that more beneficial species of trees cannot grow under roads and housing sub divisions to satisfy a growing population(principally in the south east corner of Queensland). Nor for that matter can endangered native species such as koalas survive in areas facing urban encroachment. Farmers are blamed for clearing more country. Incorrect. Re pulling the same country is not increasing land clearing. It’s attempting to manage the asset that you have already spent huge amounts of money to buy, then improve so you can provide a living for yourself and your family, earn a dollar, pay tax, rates, duties, guaranteed super for your employees etc etc. What once was grazing or cropping land; most of it high value in the better rainfall areas, is being clear felled for housing. The Australian population has just ticked over 25 million human beings. Who will continue to feed them? We are fortunate that we as a country have not been plagued by famines or food shortages of any type. Though if we continue to keep clearing this higher rainfall and better agricultural land, how will we continue to feed this growing population? We all need to take a longer term view on what we want from this fragile country. This must be a view for all not just some who seem to yell the loudest! ‘The Riviera’ the name given to part of East Gippsland - 10 minutes to 90 mile Beach Bass Strait, 90 minutes to the snow Mt Hotham, 3 hours to the Monaro and South East Coast, 3 hours to Melbourne with a very mild climate in both winter and summer. 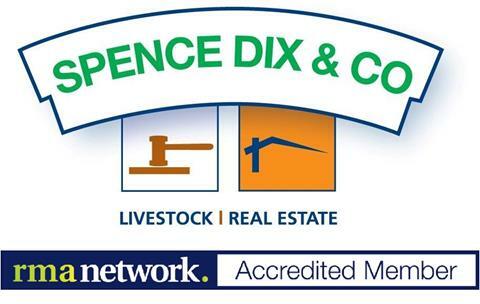 We are the gateway to East Gippsland Livestock Exchange for Store and Fat cattle sales. South Gippsland is a 95% sound climate with rainfall and quality soil, with our main rainfall coming from the East Coast lows forming in the Tasman Sea. Melbourne & LaTrobe Valley houses our export abattoirs. Land values per acre have skyrocketed through the advent of breaking the ideal viable farms into smaller lots, where we once had 150 big clients you now have 500 small ones. A number of rivers being the Avon, Mitchell, Nicholson, Tambo and Snowy all flow from the Great Dividing Range spreading out onto fertile flat country where we have very successful vegetable growing businesses catering for the east of Australia. Multi numbers of female breeders have been slaughtered pointing only to premium prices being paid for them in the future. The saviour of the meat industry is the by-products being offal and fetal blood etc., the meat is merely a by-product. Lower quality meat (excuse the expression) is selling well because the larger volume populated countries don’t sit down to a T bone steak but with many mouths to feed, they eat smaller amounts making the export market very solid for the future. As I sit and reflect on the great position that the Ballarat & District is in, I feel for our Northern farming friends. While our Summer & Autumn was dry we have received great winter rains with 132 mls falling in the last month. The irrigation and stock dams are full and creeks are running. The Ballarat & Districts produced a lot of high quality heavy lambs in the Summer, Autumn & Winter. It was quite amazing to see these outstanding drafts presented in the Ballarat Saleyards for many weeks, quite a testament to the breeding and management. We are just beginning to buy store lambs for re-fattening. Our cattle markets have been quite solid. Our feeder steers are making around $3.00 - $3.20 per kg depending upon breed and quality. It has been a great time to changeover whether it be a steer or cow & calves with many prime bullocks making $1,800 - $2,000 and their replacement making $750.00 - $950.00 and cows to $1,600.00 and buying young cows with calves at similar money. The grazing and farming land around Ballarat is hotly sought after, with some country making as much as $14,000 an acre depending on quality and water entitlements. Also we see more lifestyle people wanting to buy, and superannuation money on the bigger properties. The canola and wheat crops are looking fantastic throughout the area especially into the Western District. We are in a blessed area at the moment, but we are also mindful of what could happen as the days get longer and hotter and if the rains steady. Bendigo is a large regional city strategically positioned in the centre of Victoria. It has a population of 110,000 people, making it the largest inland regional city in Australia. The explosion in population began back in 1851 when gold was first discovered in the region. This resulted in Bendigo becoming the richest city in the world (in the 1880’s). The legacy of the gold rush is very evident today in its famous historical Georgian architecture. The city has become renowned for its cosmopolitan and cultural aspects, great food, coffee and its world class arts precinct. Now a destination of choice for many people. Bendigo also has a very strong agricultural area with a mix of viticulture, sheep and cropping making up the majority of the agribusiness sector. Located only 130 km from Melbourne and 110 km from the Melbourne International Airport. The property market in this great regional city is a very interesting one. The medium house price in Bendigo is $395,000 with annual capital growth of 5.39%. With low occupancy rates, investors are reaping grossed returns on investment between 4.5% and 5.5%. The medium house price, in comparison to other regional Victorian cities is rather alarming. Geelong is 53% more expensive, Ballarat is 7% and smaller towns such as Kyneton (22%) and Castlemaine (13%) are more expensive than Bendigo. After considering these numbers, it is not hard to see why our Melbourne neighbours are appreciating the great value in Bendigo and Ballarat. A house in Bendigo valued at $600,000 will get you 900m2, with a shed, inground pool 4 beds, two baths and double lock up garage within 10 minutes to the CBD. The same value in Melbourne may realise a two bedroom unit. Potential purchasers begin to realise that Bendigo is a great place to live and is very affordable. The economy is like an economic bubble. With limited large industry (ie: Bendigo Health, Bendigo Bank and Hazeldenes Chicken Farms), Bendigo has become very reliant on small business who prefer to keep their money within the local community, supporting other small businesses. This structure still makes the city very reliant on the agricultural sector. At the moment, we are experiencing record lamb, mutton and wool prices, which is fantastic for the area, Bendigo does boast one of the largest sheep and lamb selling centres in Australia. With a season hanging on by a knife's edge it would appear at worst, our farmers will have a hay season but there may be light yields as far as grain goes unless we experience some healthy spring rains. With a city expected to grow by 30% in the next fifteen years, Bendigo is being labelled as a property hotspot. Regardless of this, it is a great city to visit, raise a family and also retire. The South-East and to a lesser extent the Southern Mallee areas of South Australia have been blessed with rainfall this growing season, which has enabled good foundations for the cropping enterprises and provided a solid base for Spring pasture growth to come. There has been a huge call on hay supplies throughout the district with most sheds now emptied, with Lucerne Hay going as far as Southern Queensland. The rains down this way have certainly attracted those from drier parts including around Broken Hill and further afield looking for country to either buy or lease (to lease being near on impossible), to sure up their breeding base or deal with young stock and provide a longer term reliable base to sustain their grazing operations. Our reliable rainfall base and general access to underground water for both stock and irrigation is certainly another keenly sought after aspect. Great commodity prices with ongoing records tumbling for wool and prime lambs, strong mutton and handy beef prices, continues to fuel interest from graziers wanting to maintain their income streams. Coupled with the spike added to grain and hay prices by the drought in much of the rest of Australia, this is what is stopping many potential vendors from selling - they are simply enjoying the ride for a bit longer before they decide to retire. In my 38 years of selling Rural Real Estate I cannot remember a time when there has been so little on the market. Dr Mehrdad Nikfarjam - Founding member and president of The Pancare Foundation. Since 2013, rma network members have donated $382,550 to the Pancare Foundation, which has been used to expand the Patient Supoprt Meetings, Community Forums Program and the Travel Assistance Program in regional Australia. The money is raised as a result of an auction held at the rma network annual conference gala dinner. Members and guests at this year's dinner heard from founding member and president Dr Mehrdad Nikfarjam on the organisation's dedication to research and supporting patients affected by liver, biliary, and foregut cancers. Dr Nikfarjam said these cancers had the worst survival rate. "Eight per cent of pancreatic cancer patients live for five years after being diagnosed but most only live for six to nine months" he said. One third of patients came from rural and regional areas, but they received sub-standard care. Dr Mehrdad Nikfarjam said "There have been a lot of changes over the past four or five years and we are making progress". 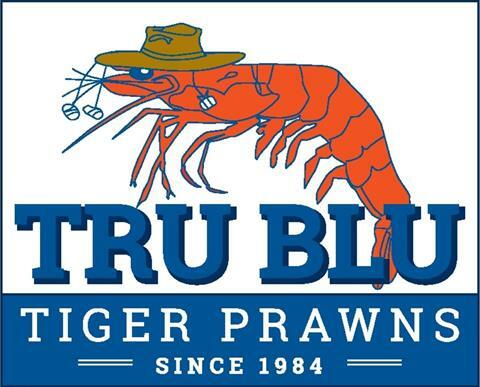 Tru Blu Prawn Farm, North Coast NSW. I would say that's an outstanding weight gain. 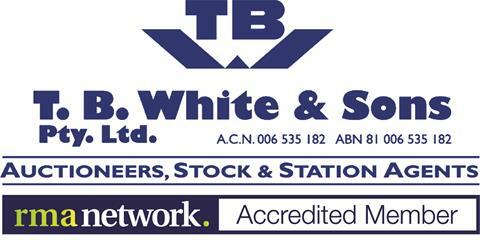 Your dedicated specialists in agriculture equipment, heavy duty and general machinery finance. We genuinely want to do the hard work for you and go above and beyond to make the application to settlement process informative, easy, and as cost effective as possible on any piece of equipment you are looking to finance. You are receiving this email as you are a current subscriber to our Property Guide & Alerts database. To unsubscribe, please use the link below.